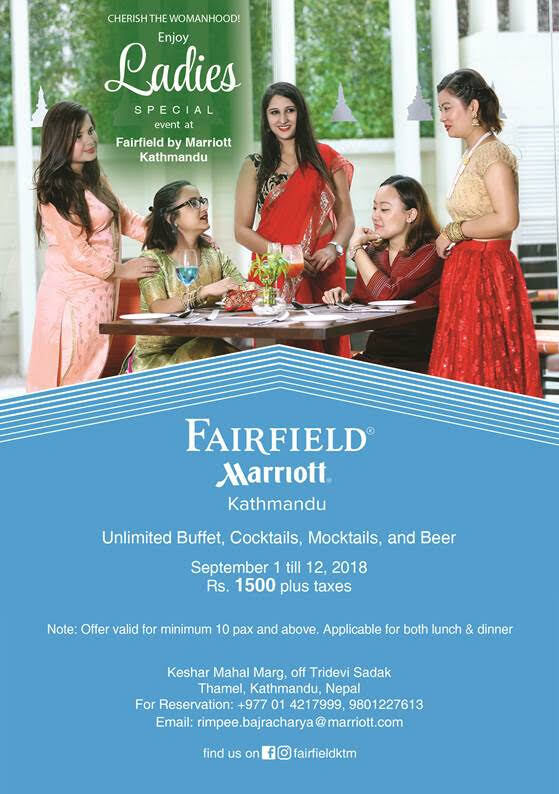 KATHMANDU: Hotel Fairfield by Marriott, Kathmandu, is conducting a Ladies' Special Event from September 1 to 12. During the duration of the event, Fairfield will be hosting an unlimited buffet, cocktails, mocktails, and beer to participants at the cost of Rs. 1500 per guest plus taxes.